Evidence-Based CBT Supervision offers an evidence-based perspective of particular interest to CBT supervisors working within mental health. It integrates the author’s extensive professional experience with relevant theories, empirical knowledge derived from the latest research, and guidance from other leaders in the field. First published as Evidence-Based Clinical Supervision, the Second Edition puts the emphasis more firmly on a cognitive-behavioral approach, clarifying as never before a CBT orientation to the subject. It also incorporates more information on the restorative function of supervision (supporting supervisors emotionally), and draws on findings and methods for developing professional expertise. Founded on the author’s long-term involvement in painstaking programmatic research, this book offers an original, scholarly, systematic, and constructive guide for fostering evidence-based supervision in mental health care. It features a manual with video demonstrations and supervision guidelines, and includes many useful ideas and recommendations for all those involved in supervision, not just trainers and supervisors. 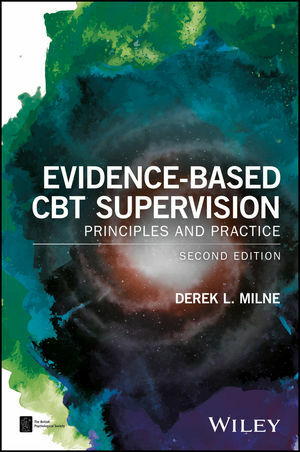 The author also spells out how the evidence base informs his companion book, the more practical and training-focused Manual for Evidence-Based CBT Supervision (Milne & Reiser, 2017). Bringing applied science to supervision, Evidence-Based CBT Supervision offers an expert’s guide to the critical business of making clinical supervision work within modern mental health services. DEREK L. MILNE is a former Director of the Newcastle University Doctorate in Clinical Psychology training programme. In addition to practicing for 33 years as a clinical psychologist within the National Health Service and teaching within Higher Education, he has been a coach, supervisor, supervisor trainer, supervision researcher, and organizational consultant. He is the co-editor of The Wiley International Handbook of Clinical Supervision, and co-author of A Manual for Evidence-Based CBT Supervision.